I am happy to share another video with you today. I know…that’s three this year and it’s only April. The future is looking promising. So far the three I have posted were all filmed on the same day but rest assured there are three more in process now. 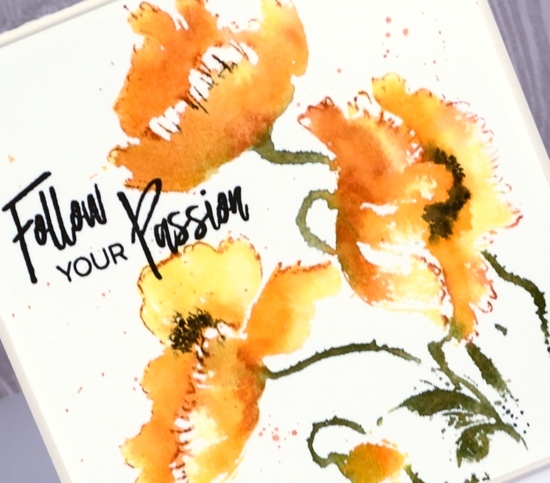 The stamp on today’s card is another pretty brushstroke stamp from Penny Black. 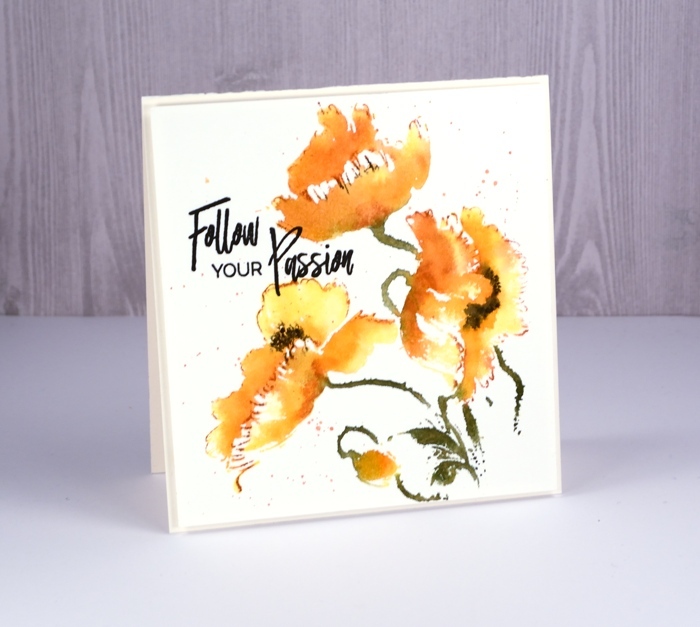 I have a few techniques I use with brushstroke stamps ranging from very detailed to very loose and watery. 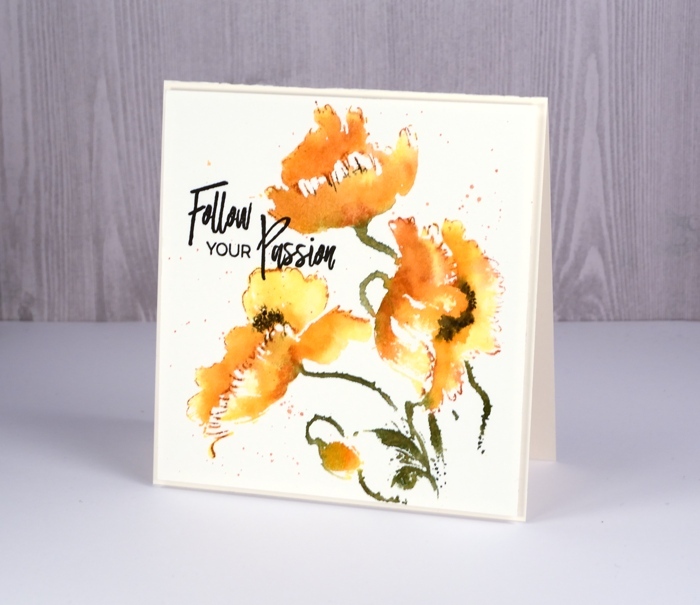 This card has quite a loose look but it’s still clear we are looking at poppies! I used a combination of mememto ink pads and markers and worked in a stamp positioner so I could build the colour up step by step. Check out the video to see my whole process. Thank you for the encouraging comments left here and on youtube about my videos. I am so happy to provide them and thrilled to hear the techniques are making sense and inspiring you to try them yourself. GORGEOUS! Thank you so much for the video! You make it look so easy! So Beautiful Heather! Thank you so much for sharing your artistic talent! I have learned so much from your emails and videos. You are such an Angel. Hugs!! Hello Heather,what i like about this paticular card is the way the flowers appearr to have a certoin fllow as if windswept, the colours blending nicely. I also am a visual learner & so appreciate your videos because I’ve never seen a card you’ve made that I didn’t say “wow” about. You are such a great artist.